How do I update any of my contact information? Specifically, what if I want to use my maiden name? How do I control the information that is visible to others on my profile page? How are the "Stated Interest" tags used in "My Profile"? How do I find other alumni? Click here to read the rules and etiquette of the community, in addition to the privacy statement. A: You can login in a number of ways. You can use your U-M login (uniqname) and password, or you can login with one of your social media accounts and password. If you do not have a U-M login, please click here to create one. If you are logging in with a social media account, you'll need to first verify your identity. You'll be asked your legal first and last name, 4-digit date of birth, 4-digit year you earned your first degree, and either your last 4-digits of SSN, alumni ID, or U-M ID. If you need further assistance, please call the Alumni Association during business hours, 800-847-4764. Q: How do I update any of my contact information? Specifically, what if I want to use my maiden name? A: On your profile page, select the pencil icon next to "Contact Details" in the left column. Adjust any of your details in the form that pops up. If you are changing your name, to an informal first name or hyphenating your married name with your maiden name, this change will only be reflected in the online community platform. If you want to officially change your name with the University, click on the box below "Contact Details". Q: How do I control what information is visible to others on my profile page? A: Only U-M alumni have access and can see profile pages in the "Alumni Directory". In order to control information any alumni can see about you, navigate to your profile page, then select the "My Account" tab and choose "Privacy Settings" from the drop-down menu. This will let you control what information is visible to members. After you’ve made changes, click the “Save Changes” button at the bottom of the page. Your profile's default setting is to only allow alumni to see your Name, City, State, and Degrees Earned. Q: How do I find other Alumni? The best way to search is by using name only. A: There are several ways to add contacts. When you perform a search in the Directory, you will see an “Add as contact” button to the right of each person in your search results. Click this button to send a contact request. Also, if you click through and view an individual’s profile, you can click the “Add as contact” to the right of his or her profile picture. A: Go to “My Communities” in the main navigation bar to view the communities you currently belong to. A: Click on “My Communities” in the main navigation bar to see a list of available communities. Click on the community that you wish to join and simply click the blue "Join" button on the far right. Next, choose an email delivery option for posts (Real Time, Daily Digest or No Email). Q: How can I control the frequency and format of email digests I receive? No Email: allows you to be part of the community without having email digests sent to you. You can still post and read others’ messages by logging into the community site. Personalized Digest: sends an email digest to you that consolidates all of the topics* that you subscribe to. Real time: sends an email every time a new message is posted from a topic* that you subscribe to. *Topic Tags are great way to bring relevancy to your email digest. For example, if you subscribe to the topic tags "Business", "Education", and "Career", you will only receive information in your email digest when those topics are tagged in a thread. This important feature allows for more personalized and tailored content centered around your specified interests. To select your personal topic tags, go to your "My Profile" page and scroll down to the "Stated Interests" section, click "Add a topic" and add as many topic tags as you want to receive information on. You can watch the 1 min. video tutorial on how to change your "Stated Interests" here. A: Go to your "My Profile" and click on the "My Account" tab. Choose "Community Notifications" from the drop-down menu. Here, you will see a list of available communities and those to which you’ve subscribed. Select "No Email" to unsubscribe from the community discussion. To leave a community, navigate to the specific Community Home Page and select the "Settings" button next to the Community Name at the top of the screen. Next, select the "Leave the Community" option in the pop up box. A: To respond to a post, navigate to the discussion thread and click “Reply Inline” to send your message to the entire community. To send a message to only the author of the post, click the drop down arrow in the same box and select “Reply to Sender”. We recommend replying to the sender to say things like “sounds good” or "thanks for your comment" that add little value to the overall discussion; and "Reply Inline" so that the entire community benefits when you are sharing knowledge, experience or resources. A: Go to the home page of the selected community. Click on "Discussion" next to the "Community Home" tab. Click "Post New Message" to begin a new discussion thread. Q: How are the “Stated Interest” tags used in "My Profile"? A: "Stated Interest" tags are great way to bring relevancy to your email digest. For example, if you subscribe to the topic tags "Business", "Education", and "Career", you will only receive information in your email digest when those topics are tagged in a thread. 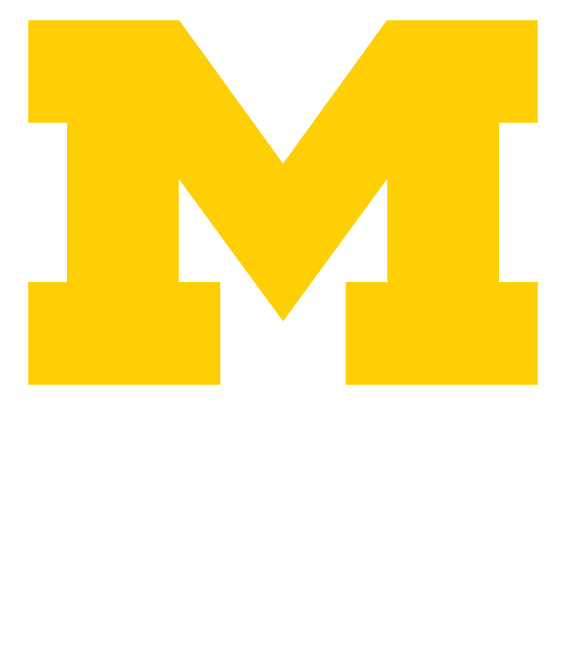 The Alumni Association of the University of Michigan respects your privacy and we are committed to protecting it. We intend to provide you with a level of comfort and confidence in how we collect, use, and safeguard personal and other information we collect and obtain, or that you provide through this website, and how you can contact us if you have any questions or concerns. It is our sincere hope that by explaining our data handling practices we will develop a trusting and long-lasting relationship with you. Respect others and the community. All defamatory, abusive, profane, threatening, offensive language in the community or toward another member is strictly prohibited. Advertising. We strive to keep the community a place for discussion and conversation, not as a marketing platform. Posts created for the sole purpose of advertising or other commercial purposes will be taken down. Offensive imagery. Questionable imagery of any kind is prohibited, including violent, offensive, explicit and demeaning imagery. The “first post” rule: if you break any of the above guidelines in your first post on the site we will temporarily lock your account and inform you of the situation. Send messages such as "thanks for the information" or "I agree" to individuals, not to the entire list. Do this by using the "Reply to Sender" link. Do not send administrative messages, such as “remove me from the list,” to the group. Instead, use the web interface to change your settings or to remove yourself from a list. If you are changing email addresses, you do not need to remove yourself from the list and rejoin under your new email address. Simply change your email address in your profile page. Thank you for being a part of the U-M online community platform!